Though the neighborhood coudn’t be more different today, the name has stuck and the locals have no interest in changing it. 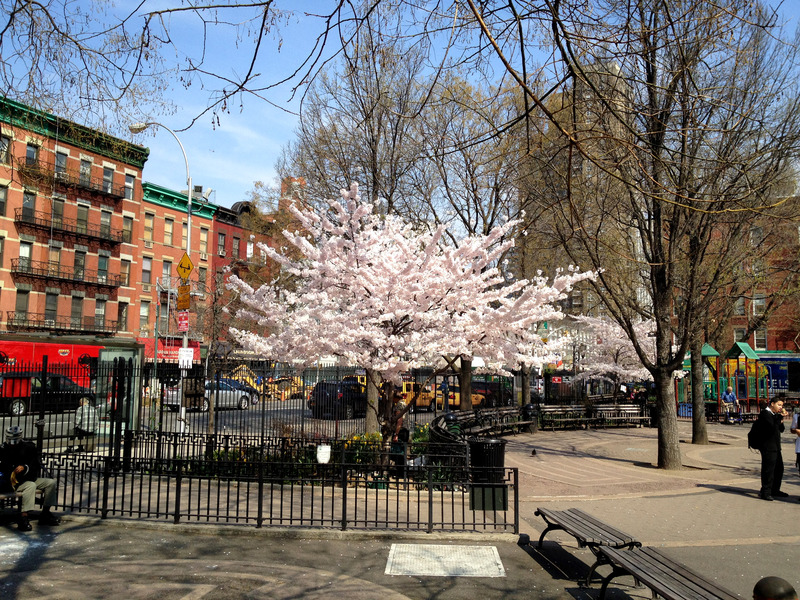 Many things connect the area to its roots and traditions, not the least of which is a lovely little park situated on 10th avenue between 47th and 48th streets bearing the same moniker — Hell’s Kitchen Park. Upon first glance the park serves the neighborhood with a sitting area, planting beds maintained by community volunteers, a play area, basketball and even handball courts. But this park also has a secret that bursts into full view for a brief period once a year. 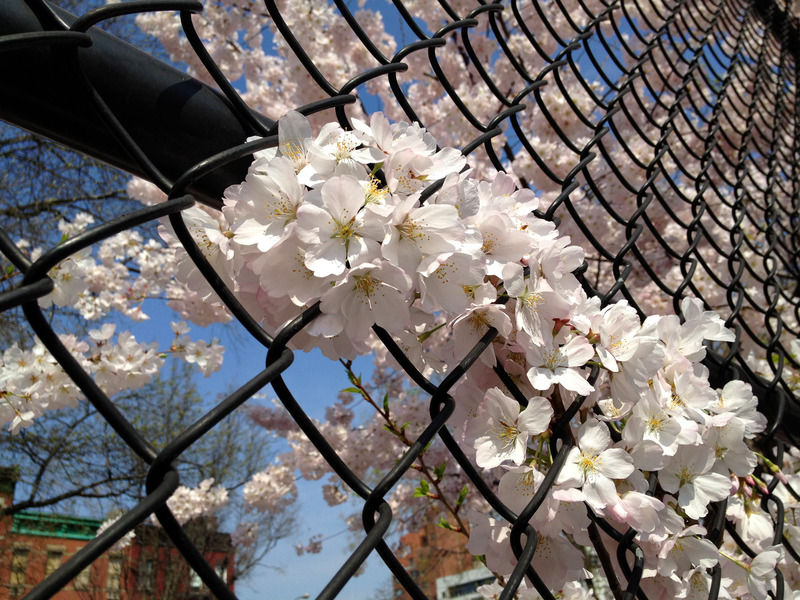 The park is lined with beautiful Cherry trees which provide the most beautiful contrast to the urban background. 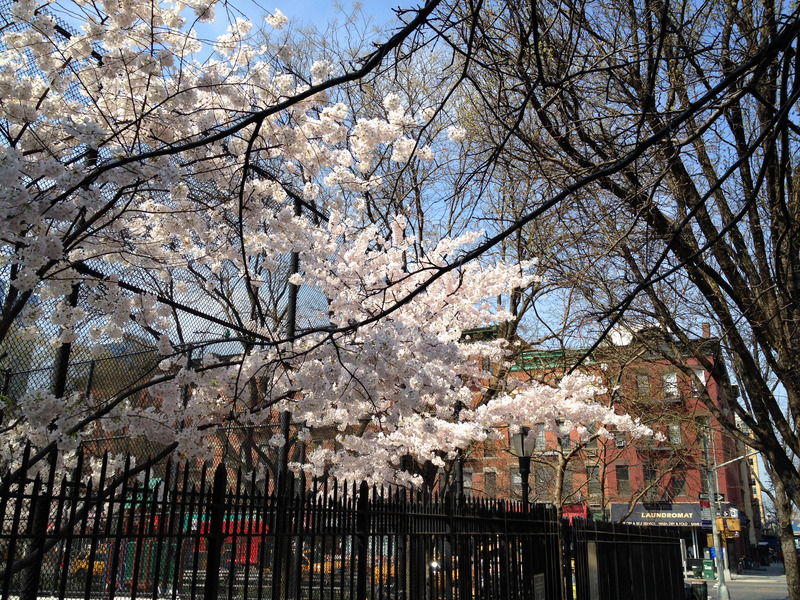 The blossoms of these trees herald the coming of another spring; albeit this year a slightly early one.